Based on a 1987 active/discrete clean eq, Known for its great precision and transparency. Great for problem solving, Mastering, or invisible tone shaping. Last edited by Tim Petherick on Wed Feb 15, 2017 2:42 pm, edited 13 times in total. Re: New eq release's with amazing double deal!!! Annnnnnnnd bought I always love your work, thank you for your efforts! Boom! This is gonna be a classic in Nebula. Congratulations, Tim! Thanks as always Tim, I'm not sure if I should be ashamed of how excited I get every time Tim releases a product! Hey Tim from wich hardware piece this is sampled? Can you give a hint? is a GML? By the way i bought the double deal and it is amazing just love the high shelf on guitar to cut the sizzle amp sim sound... sounds nice!!! Congrats and im waitting for more to come! Tim, why do we have interpolated values in Surge Shelf ? Was it stepped ? Avgatzeblouz wrote: 8200 and MEQ-5. It's not a stepped unit. The stepped versions of bell are just a option. Sorry, I don't get it. They are stepped, but controls are continuous. I am lost. Tks Avgat and Tim for the answer ! Amazing work man ! Really awesome library! Thanks Tim, this is really generous. I'm also a bit confused about the normal and interpolated programs. The normal ones seem fully sweepable in frequency, Q, and gain. Or did you actually sample in something like 10hz increments? Yes very small increments but the increments are not really by 10hz throughout but as small increments by movement as l could get for good results on interpolation, it almost looks like it's fully continuous on the stepped versions because there are so many steps... I added a stepped version because it's debatable that it's a tiny bit tighter in sound. But we are talking very subtle, I'll let you guys decide on that. If you look at interpolated versions you'll see how accurate in frequency this release is. This is why we end up with 2016 samples in one preset lol.. Believe me when making that many sweeps of the unit it gets very boring quickly haha, we are probably breaking records on amount of samples here. The q and gain are interpolated in both versions. Thanks for the info - that's a serious undertaking! Massive sample pool. Having this available as an option for channel EQ is pretty great. Tonite working on a restoration/mastering of a 'combo-band' recorded [early 1970's]. Keyboards, Bass, and Vocal. Excellent musicians recorded in a Live show. My guess it was recorded live to a 2-trk, Wollensak tape deck, in a decent acoustic niteclub. Using many of my Nebula favorites ... MFC consoles, AM-3 compressor, some Fab-Q2 [for problem hunting], and featuring ... SURGE-EQ. The precision, clarity, depth, detail, and just plain, musicality of this EQ is stunning. The 'Shelfs' are amazing. I'm needing/using anywhere from 6 to 12 dB of Low Shelf to reconstruct the bottom foundation. These shelfs are just so clear and tight. I'm also using a Low Bell, at around 19 Hz, with a controlled Q as a simulated Bandaxdal EQ. Clear and powerful. Hi Shelf is pure magic. Within the spectrum, even subtle 1/2 dB cuts/boost make using algo plugs like FabF boring and lifeless. I end up sub'ing out with SURGE. In fact, I can do wider curves with SURGE, and maintain spectral integrity. Even though these type of restorations require many Nebula instances, the stacking of SURGE has yet to get cloudy, fuzzy, or over-saturated. In fact, the clarity, transparency, and detail is so natural when A/B'ing the entire processing chain [using Ian Sheppard's Perception plugin]. I know TimP has put a lot of effort into this creation. Maybe a record number of internal samples in these Presets. Covering this entire EQ with only 4 main presets is also a 'workflow' joy. [thank-you for that]. Kindly ignore my 'beta-tester' moniker, to which I would like to thank TimP for allowing me to be apart of this process, and say that I have a substantial collection of Neb/Acqua products, and over the years have developed favorites and specialties. Outside of my Mastering work, I often test/experiment with different Acqua/Neb libraries as a 'feature' item as a test tool. 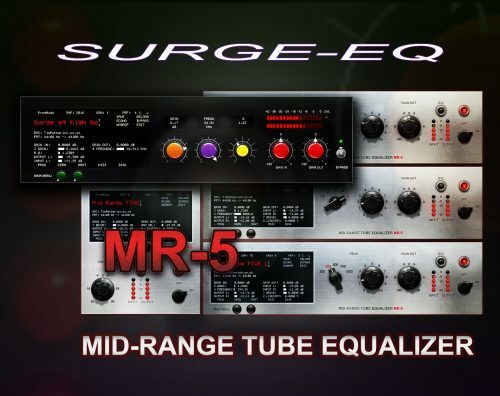 SURGE-EQ has now been through several mastering sessions ... I can easily make corrections and shapings quickly. From 0.3 cut/boosts, to massive 12+dB re-structuring ... it does it with ease and transparency ... totally musical. ok ... break time for me. A short chill-out is due.